We have new images of the upcoming Transformers Generations Select Star Convoy courtesy of the Takara Tomy Mall website. These show Star Convoy interacting with the completely chrome matrix. It now has a 5mm peg so you can see examples of how Prime/Convoy can further interact with it. This is a TTMall exclusive but it is available at your favourite online collectible stores as well, including Hasbro Pulse. The prices range from $80-$95 USD and the toy will be shipping in September 2019. 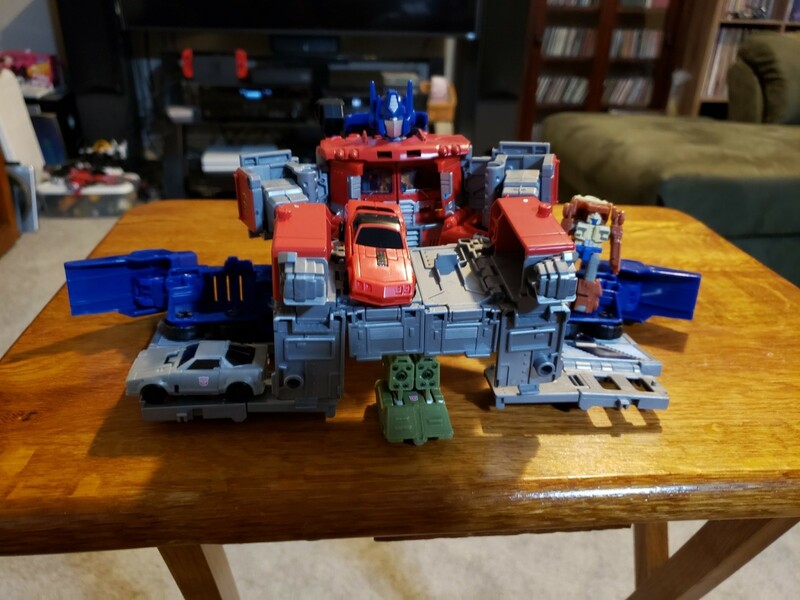 While some would have preferred the use of the Power master Optimus mold for a Star Convoy retool, due to it having a base mode, a base mode just as poor as the original's can be achieved with this mold too, as we can see below thanks to WishfulThinking. 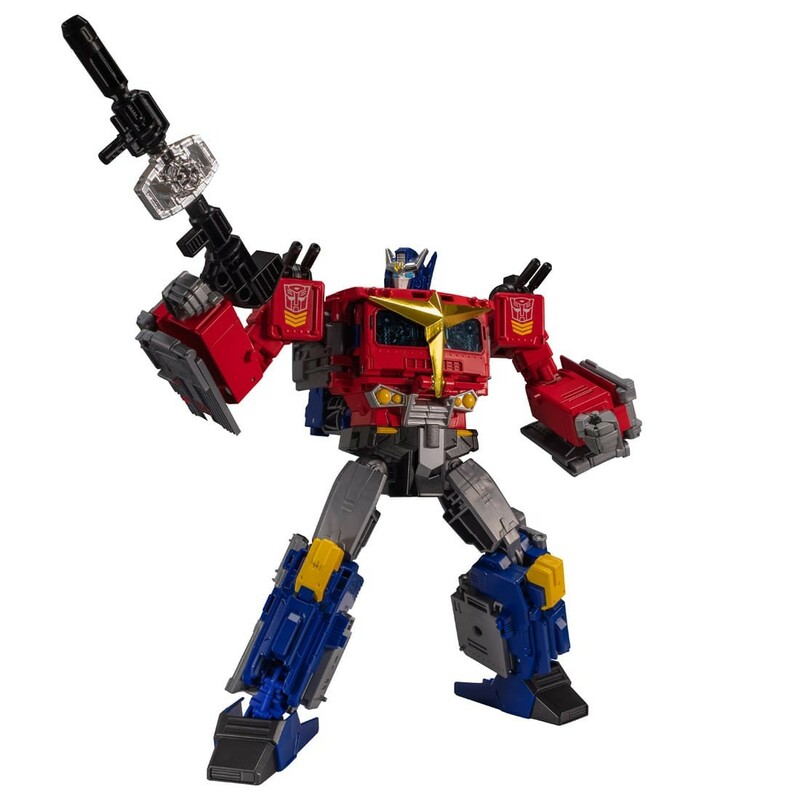 Also, Star Convoy being an evolution of Optimus Prime/Convoy makes the use of the Power of the Primes Optimus Prime mold more ideal thematically. It helps mimic the original art, which you can also see below. That base mode doesn't look any worse then the original one did. I have to wonder why they made it so the Matrix could attach the his gun. What purpose does it serve? That "base" mode is almost as bad as the original. I like the chrome, though. And I'm a huge fan of both heads. 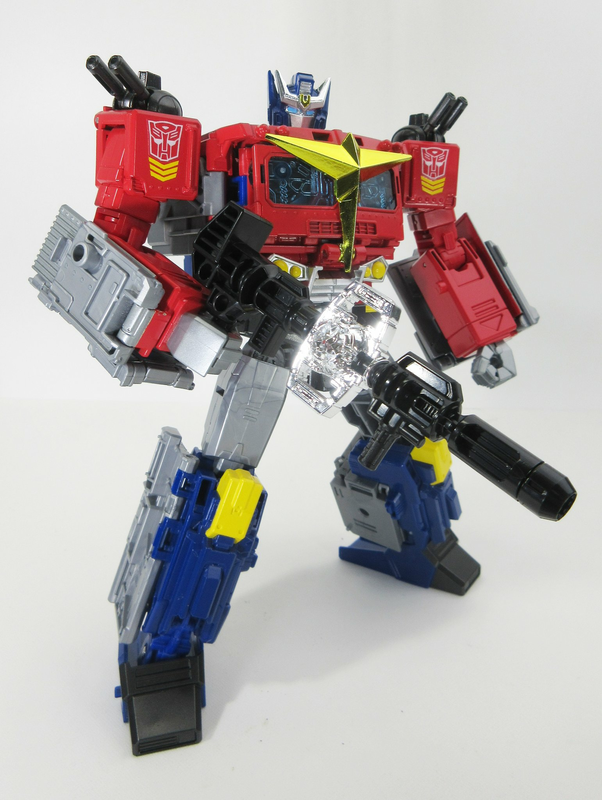 With that new Matrix piece having a 5mm peg and hole, one could take a toy of the Star Saber whose handle is 5mm and plug it into that Matrix to make it being the Star Saber's hilt. Rodimus Knight wrote: That base mode doesn't look any worse then the original one did. What was the purpose of putting it in a hilt a decade ago? 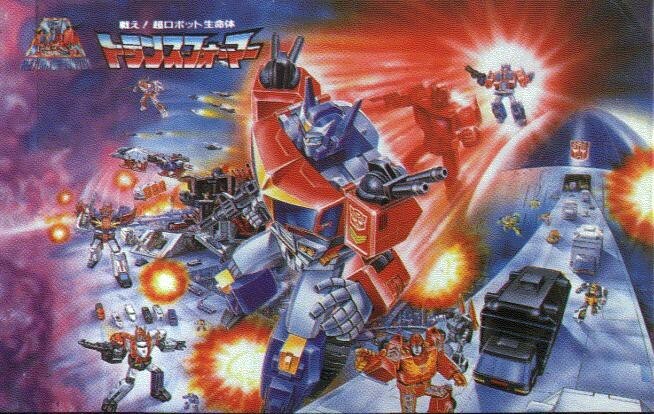 Not sure why everyone is bashing the base mode on the original Star Convoy. Sure it wasn't the *greatest* idea ever, but I've seen worse in modern toys supposedly with advanced engineering. I'll give someone imagination points for trying to pull it off on PotP Evolution Optimus, but it's still not the same. Randomhero wrote: What was the purpose of putting it in a hilt a decade ago? Probably taking a bit of inspiration form the Thundercats Sword of Omens. The Eye of Thundera (or *War Stone* if you go by the 2011 re-imagining), was in the hilt of the sword. Admittedly it looks pretty goofy in SC rifle, but if you scaled up the characters to be a bit larger, and had proportionately large sword. The Matrix wouldn't look *entirely* out of place as it's hilt. Matrix of Leadership Make Gun Shoot Bigger Bullets. Poor Star Convoy is destined to always have a bad base mode. Of course it is. Everything's automatically made more awesome when it's done on the ceiling wall. It's a clever reuse of a toy that I never liked very much, to be perfectly honest. Still I'm quite fond of this version. I don't plan getting it though, since I lack any emotional attachment to the original franchise it is homaging. And yet I'd probably get a reimagined Grandus, as I instantly liked the character as soon as I saw its cameo in the Animated cartoon. 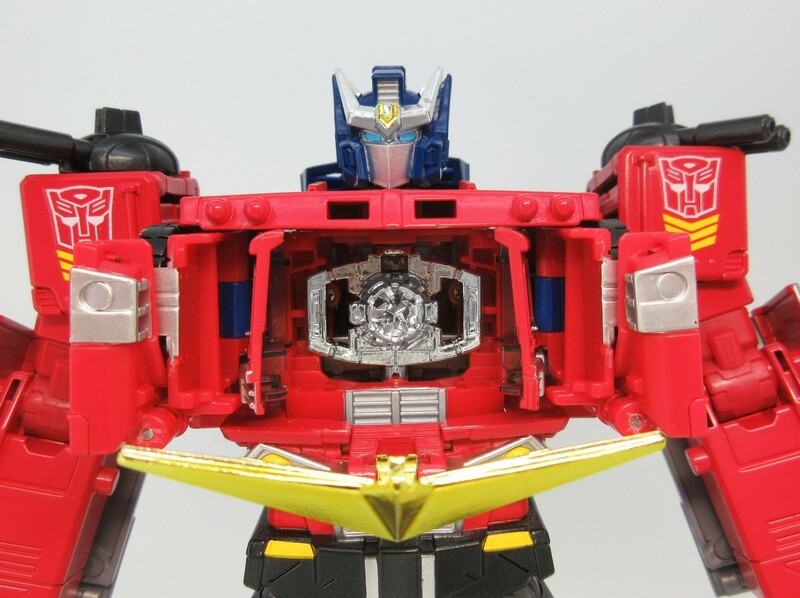 Considering how the Matrix sits in his chest it's probably not a proper 5mm peg, but rather a Titan/Prime Master peg which should make the people who like their Matrix heads happy. I had thought The Matrix was entirely silver chrome, but now we can see the center is clear. Would have liked a little color in the center, blue or gold, something. This is still a hand painted prototype so there's still a little room for change. Emerje wrote: Considering how the Matrix sits in his chest it's probably not a proper 5mm peg, but rather a Titan/Prime Master peg which should make the people who like their Matrix heads happy. I agree, I think it would look way better with a colored chromed matrix like what MP10 had. Also, him attaching the Matrix to the gun reminds me of when Big Convoy basically did the same. Emerje wrote: I had thought The Matrix was entirely silver chrome, but now we can see the center is clear. Would have liked a little color in the center, blue or gold, something. It's especially odd considering that the faux cab/chest windows are still clear blue plastic. Could have just used some more of that to pour into the new Matrix mold instead of using an entirely colorless clear plastic. I would think that would make production a little less complicated and a little more cost effective, resulting in a better looking product too. Did you take it from a phone by any chance? They have a habit of doing that. Mold layout is a bit to blame here, specifically old vs. new. 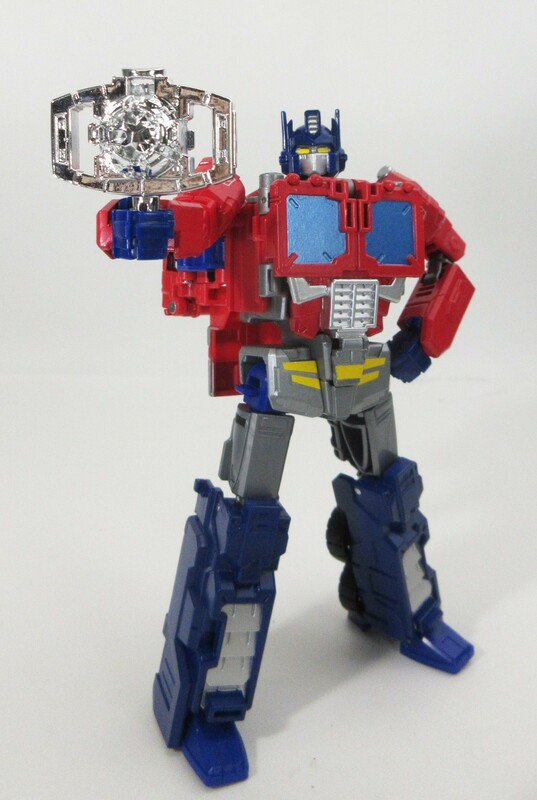 I did some comparing with images (as very good habit to have, folks), and the whole matrix is a new single piece, instead of the regular PotP Matrix Core + case. Like the Enigmas and Prime Armors, I suspect the Matrix Core and case pieces have their own molds separate from the figures they're included with, thus can be cast in any color and freely switched out or even replaced. Besides, we've seen figures with multiple colors of clear plastic before, albeit rarely. And isn't all clear plastic the same, just dyed differently? I sure hope neither of them are retools like these were. At the moment, MP Star Saber still scales very well with these guys since the MP is the same size as both a CW Combiner and Legends God Ginrai, and Star Saber is meant to be that size. 4,797 pages were recently viewed by 1,110 unique visitors. This page was viewed 2 times on Saturday, April 20th 2019 9:19am CDT. © 2019 Seibertron, Inc. DBA Seibertron.com. All Rights Reserved. Established June 2000. Seibertron.com is owned by Ryan Yzquierdo.